Groundbreaking ceremony for NLF’s new preschool addition in 2015. 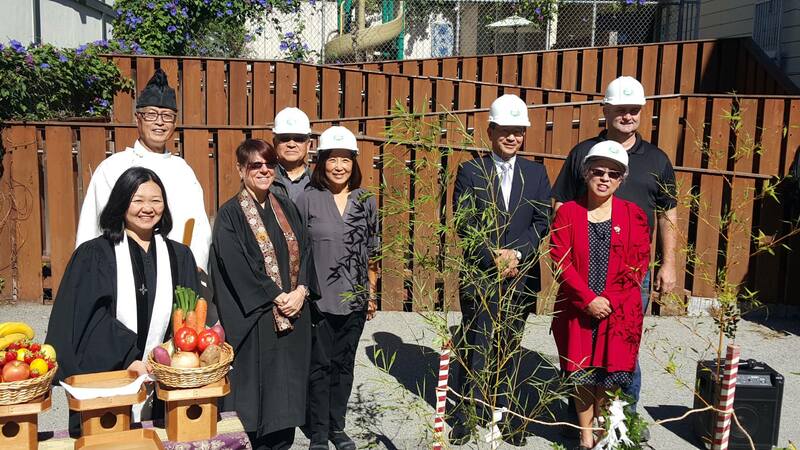 SAN FRANCISCO — Nihonmachi Little Friends (NLF) will hold a ribbon-cutting ceremony on Friday, May 19, from 11 a.m. to noon at its brand new preschool addition, located adjacent to its historic Issei Women’s Building at 1830 Sutter St. in San Francisco’s Japantown. The event will include a performance by the NLF preschoolers and participation by the Japanese American Religious Federation. Light refreshments will be served. In 2012, NLF launched the Plant A Seed Campaign to create this preschool addition which, along with the Issei Women’s Building, is the permanent home for its preschool programs. The new facility will enable NLF to increase its preschool licensed capacity to 90 children, and will feature a rooftop playground. Once a single preschool with 15 children, NLF has grown into a premier childcare organization serving over 200 children annually with ages ranging from 2½ to 12 years. Opened in 1975, its award-winning Japanese bilingual and multicultural programs attract a broad range of families from diverse ethnic and economic backgrounds. Fundraising for the new building addition is continuing, with three additional events planned: Grand opening on Saturday, July 8; Big Steps for Little Friends 5K Run/Walk in October; and Sushi Social celebrating the 42nd anniversary of the agency at its new facility on Friday, Nov. 17. Naming opportunities are still available starting at $1,000, with recognition on donor boards in the new building lobby. Information on ways to help NLF reach its goal can be found at its website, www.nlfchildcare.org.